Sen. Charles Schumer says lower crude oil prices don't reflect the price at the pump or of home heating oil, and he wants "stiff penalties" for companies that don't keep pace. 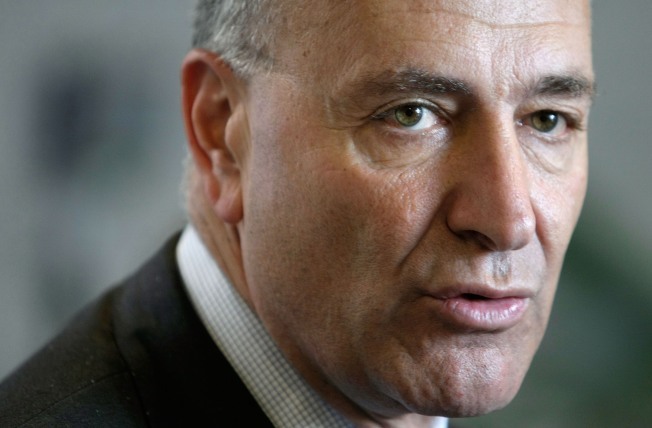 Sen. Charles Schumer says the recent significant decline in the price of crude oil is not being reflected in the cost of gasoline at the pump or of home heating oil. The New York Democrat blames oil companies for the disparity. At a news conference Sunday, Schumer said his analysis showed that oil companies aren't as quick to drop retail prices when crude oil drops as they are to raise prices when crude oil goes up. Schumer is calling on the Federal Trade Commission to issue an advisory threatening "stiff penalties" for any oil company whose retail prices for gasoline and heating oil do not keep pace with the overall drop in crude oil.